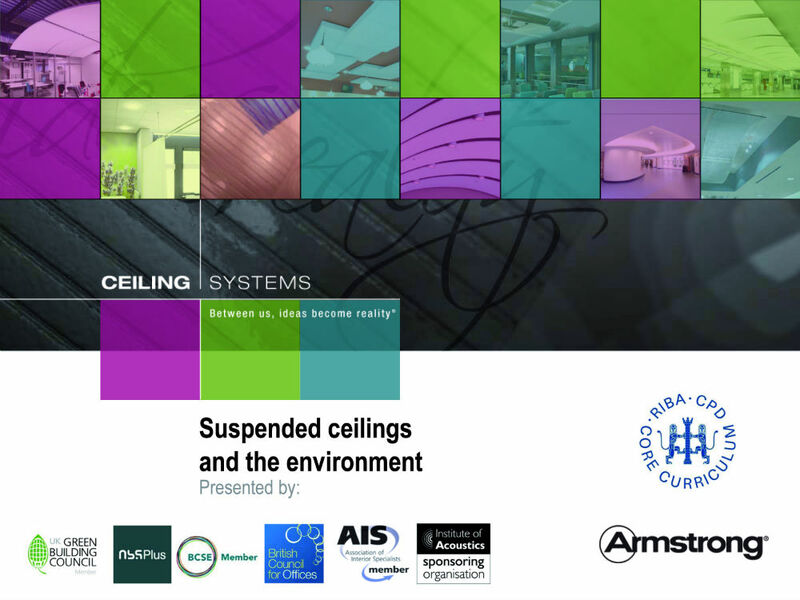 It explains how suspended ceilings have evolved to meet today’s environmental issues in terms of sustainability and user comfort/well-being, the important role they play in creating a sustainable indoor environment. Viewers of this latest of almost a dozen RIBA-approved Armstrong CPDs are awarded an hour’s credit after correctly answering five multiple-choice questions. Armstrong’s new online CPD can be viewed at http://www.armstrong.com/commclgeu/eu1/uk/gb/RIBA_seminars.html.